Kim Jong Un’s absence: coup or cooped up? (By Belinda Cranston, ANU, 10 OCT 2014) Why hasn’t Kim Jong Un been seen for 37 days? All sorts of conspiracy theories abound. Are ankle problems the reason the North Korean leader is lying low, as reported by the hermit kingdom’s officials? Or is something more sinister at stake, like a coup? 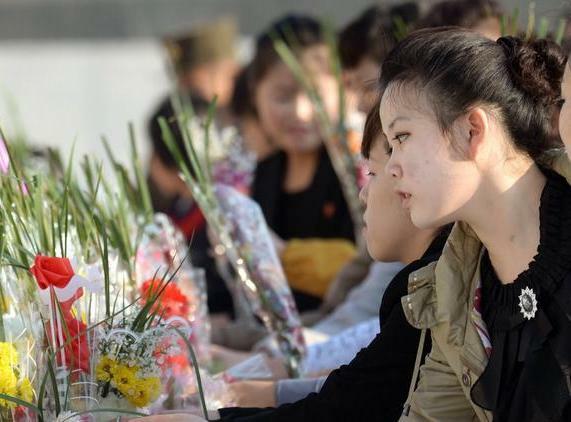 It was hoped that all would be revealed on Friday, when celebrations marking the 69th anniversary of the founding of North Korea’s ruling party begin in Pyongyang. The occasion would normally see the supreme leader on the podium of Kim Il-Sung Square, greeting a parade of workers and peasants passing by. But the North Korean leader has apparently missed this key political event. Footage of Kim in North Korean media a couple of months ago showed the North Korean dictator limping. At an occasion to mark the 61st anniversary of the end of the Korean War, on 27 July, he was unusually subdued, fuelling rumours he had suffered a stroke. “If he did survive a minor stroke, maybe his left side is a bit affected by that,” Petrov said. Kim is also said to have suffered diabetes, high blood pressure and obesity. When he failed to show on 9 September for National Day commemorations, the rumour mill went into overdrive. If an injury required a major operation, it was possible Kim was recovering in a wheel chair, a look he would not want to sport for fear of being perceived as weak, Petrov suggested. It is also possible Kim is afraid of assassination. Late last year he reportedly arranged for his uncle’s execution, because he feared he was disloyal to the North Korean regime. This year’s release of the American film, The Interview, a comedy about journalists on an undercover mission to assassinate Kim, has further fuelled rumours Kim fears for his life. Petrov isn’t convinced, noting Kim’s many public appearances in the first part of 2014. In early January, visiting former-US basketball star Dennis Rodman sang ‘Happy Birthday’ to Kim, publicly cementing the unusual friendship between the two. But the North Korean leader didn’t show during Rodman’s third visit to North Korea. “That shows that he is getting a bit cautious about his meetings and public appearances,” Petrov added. Without Kim or his family in power, the North Korean regime would probably struggle. “The system would need to find some sort of figure head to replace him,” Petrov said. His sister Kim Yo-jong is rumoured to be now running the show, but Petrov isn’t convinced she is, given North Korea’s perception of women. “Women are not supposed to occupy the central position in power politics,” he said. What of other rumours, like Kim being under house arrest or even dead? Until Kim makes an appearance soon, Petrov believes the most likely scenario is that the North Korean dictator is unwell. (By STEVEN BOROWIEC, Seoul, 10 October 2014) Speculation over the health and whereabouts of North Korean leader Kim Jong Un grew Friday after he apparently did not attend ceremonies marking an important national holiday. The young head of the reclusive country has not appeared in public since he was seen at a concert Sept. 3. Oct. 10 is the anniversary of the ruling North Korean Workers’ Party, and in his first two years in power, Kim marked the occasion by making midnight visits to the mausoleum in the capital, Pyongyang, where the bodies of his father and grandfather, both former leaders, are kept in state. But in its reports on the holiday, the state-run Korean Central News Agency did not make any mention of Kim, believed to be 31, participating in events. He also missed a celebration for Foundation Day on Sept. 9, another important holiday on the North Korean calendar. “Today was a crucial day for him to return. More and more questions are mounting and his absence inevitably leads to uncertainty about who’s leading the country,” said Leonid Petrov, a researcher in Korean studies at Australian National University. 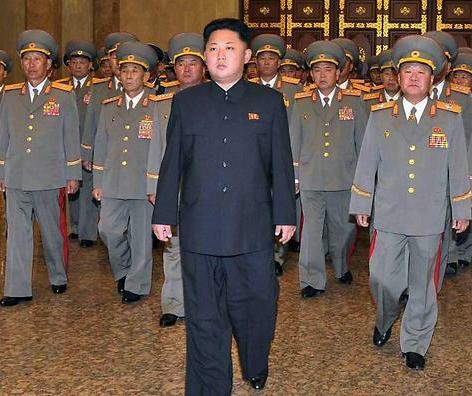 Kim is overweight and has become noticeably heavier since he came to power in December 2011. He is a smoker and reputedly has tastes for liquor and high-calorie food. On Friday, an unnamed source told Reuters that a leg injury was keeping Kim out of public view. The source said Kim pulled a tendon after joining a military drill he had been inspecting. On Oct. 4, a delegation of senior North Korean figures, believed to be the most powerful officials in the country after Kim, made an unexpected visit to South Korea to attend the closing ceremony of the Asian Games. They borrowed Kim’s plane for the trip, and Kim’s regards were reportedly conveyed to South Korean President Park Geun-hye. Analysts have said that in North Korea’s totalitarian system, such a trip could not have gone ahead without the top leader’s approval. Though Kim is young and far less experienced than the men of his father’s generation who make up the government’s top ranks, he has the unmatchable legitimacy of being part of the ruling Kim bloodline as grandson to founding leader Kim Il Sung. His uncle by marriage, Jang Song-thaek, was widely considered North Korea’s second most powerful figure and a possible threat to Kim’s control, until Jang was suddenly purged and executed last year. Jang’s ouster was carried out in an unusually visible manner, with him being handcuffed and dragged out of a large meeting, possibly as an implicit warning to anyone else in North Korea with ambitions of building power to challenge Kim’s control of the country. Though Kim’s prolonged absence has spurred rumors of a power struggle in Pyongyang, there is no clear sign that a serious challenge to his rule has emerged. On Friday, South Korea’s Ministry of Unification, its body for relations with the North, said in a briefing that, according to the South Korean government’s intelligence, Kim’s rule has not been disrupted. “There’s no sign of any political upheaval in Pyongyang. Just the opposite, all the evidence shows that things are going along normally,” said John Delury, a North Korea watcher at Yonsei University in Seoul. Still, the extended absence is out of character for Kim, who has been a highly visible leader whose moves are usually closely reported in the North Korean state media. “This is very unusual for Kim Jong Un, as he’s been this hyperactive young leader who tries to show that he’s involved in everything that’s going on,” said Adam Cathcart, a lecturer of East Asian history at the University of Leeds. Though Kim’s absence is unusual for him, it’s not unheard of in the history of North Korea’s ruling dynasty. His father, Kim Jong Il, who died in late 2011, regularly did not appear in public for months at a time, often due to his deteriorating health. Also Friday, South Korea’s military announced that North Korea fired machine guns at activists in South Korea who were releasing balloons filled with propaganda leaflets over the border. A source in the South Korean military, speaking by telephone on condition of anonymity, said no casualties or damage occurred, and that the South did not return fire but fired warning shots and broadcast a message over loudspeakers imploring the North to refrain from firing. The balloons are usually filled with leaflets critical of the North Korean government, as well as socks and chocolate snacks. Pyongyang routinely objects to such criticism, and has recently called on the South Korean government to take action to prevent the activists, often North Korean refugees, from sending the balloons. Seoul has responded that it cannot prevent the release of the leaflets because they represent free speech.